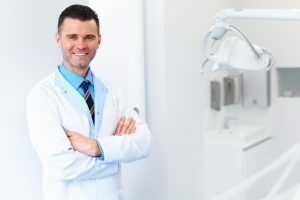 Why do people need sedation dentistry? Some patients require sedation during dental procedures because the treatments themselves are complex, uncomfortable and lengthy. For instance, an adult patient may need only local anesthesia for a simple tooth extraction. However, if that same individual were having multiple impacted wisdom teeth extracted, he or she would require more assistance to relax and achieve proper pain management. Is dental phobia also a problem for some patients? Yes, fear of the dentist affects many millions of people in the United States. Through no fault of their own, this paralyzing nervousness stops many of them from getting even the simplest of preventive care such as cleanings and examinations. As such, they are at risk greater for tooth loss, gum disease and even oral cancer. Why do people experience dental phobia? For many individuals, it’s past bad experiences at a dental office that start the sweating palms, racing heart and other symptoms of anxiety. For others, it may be claustrophobia, extreme dental sensitivity or low pain threshold. Whatever the cause, your Collierville dentist wants you to know that careful sedation dentistry can help anyone overcome dental phobia. Dr. Holcomb also offers oral conscious sedation, or tranquilizers in pill form. Familiar names include Halcion,Valium, Versed and Ativan. The patient takes the medicine before dental work commences, and usually he or she becomes very drowsy to the point of dropping off to sleep. However, the individual still can respond to simple commands and is awakened with a simple shade on the shoulder when procedures conclude. Can the sedation dentistry patient drive home? If given nitrous oxide, the answer is yes because laughing gas wears off almost immediately when the dentist shuts it off. With oral tranquilizers, however, a responsible adult must drive the patient home. Please contact the offices of Joshua Holcomb DDS to arrange a sedation dentistry consultation. He’ll answer all your concerns so you can receive the dental care you deserve comfortably and without worry.